Recently, AMT had the chance to catch up with Jeanne Verdoux and her Graphic Design 1 Class. Read more about the collaboration and what Jeanne’s GD1 class is up to below! 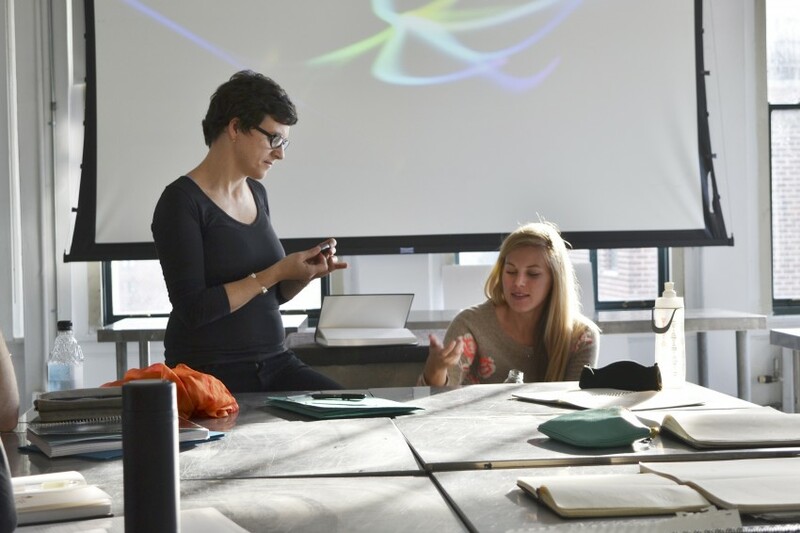 Jeanne Verdoux, who is a teacher in the AAS Graphic Design Program, is having her current GD1 students collaborate with photography teacher Vince Cianni’s Documentary Photography class. 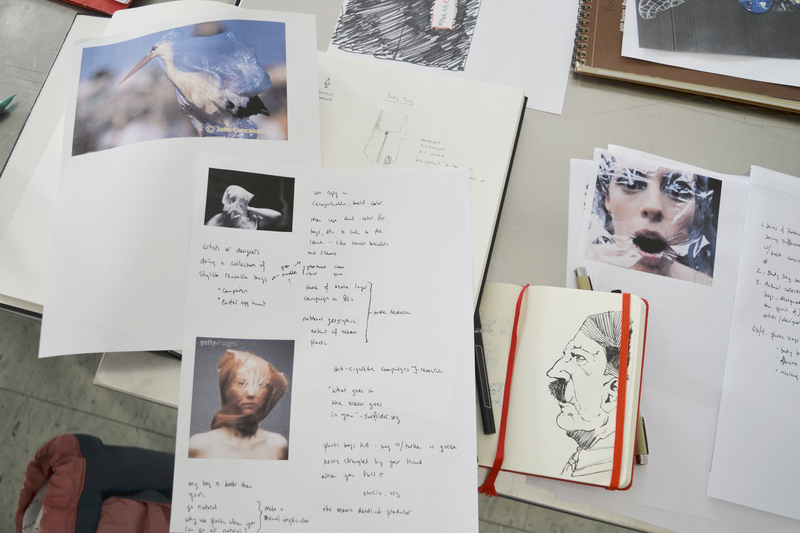 The collaboration, which allows photography students to work alongside graphic design students, was broken down into 3 small groups, each group choosing a socially engaging topic of their choice. Some topics that were chosen for the collaboration were based on mental health awareness, education and advocacy reform, and immigration rights. Julie Brock shows examples of bottle cap use during her presentation. Jeanne, who initially approached the photography department about the collaboration, believes it’s important to have graphic design students work with photographers and designers. She thinks the AAS graphic design students should be exposed to as much as possible since they are in the program for such a short time. While collaboration can be difficult, the results are worth the hard work. The exhibition Towanda, An American Town, is a previous collaboration project between the two classes that resulted in a printed poster-catalog of the project, a live website, and an overall graphic identity. The exhibition will be on view at Parsons Arnold and Sheila Aronson Galleries from October 29th to November 13th. Patrick O’Hearn adds some last minute touch ups to his sketches before class. Besides the photo collaboration project, GD1 students are also working on another project focusing on social engagement. 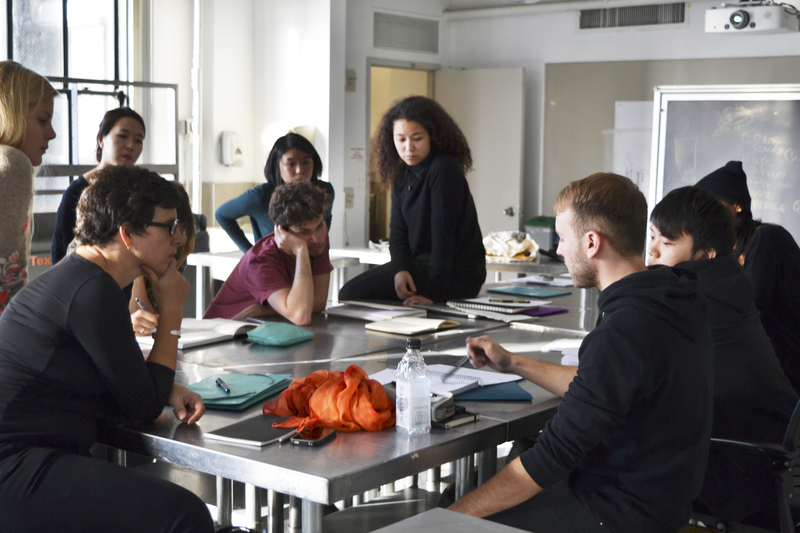 Currently students are designing a campaign that promotes sustainability. Projects include biodegradable silverware, promoting urban roof gardens and campaigns against the use of plastic bags. A student’s notes on creating a campaign on the use of plastic bags. 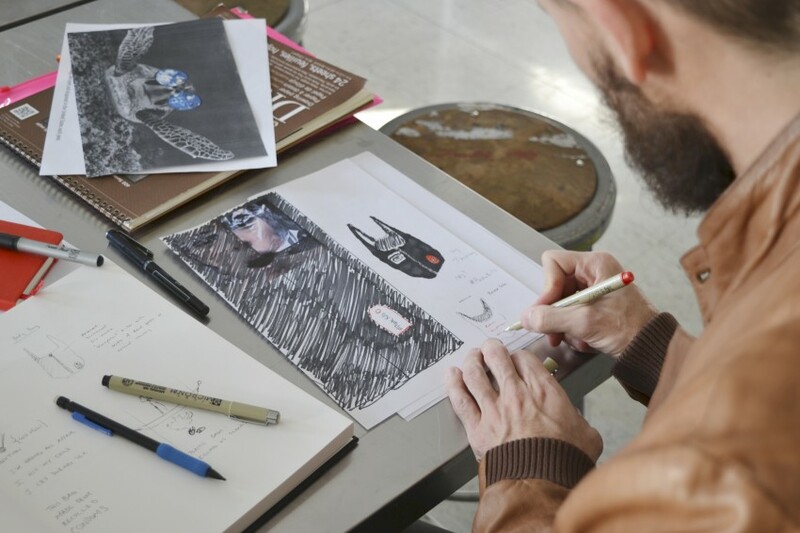 AAS student Daniel Kahng said that working on a project with a social cause, especially one that you have a personal connection to, can be motivating and gives you plenty of reasons to work hard on creating effective design solutions. With the continuation of the photo documentary collaboration and the development of other socially engaging projects, it sounds like Jeanne’s GD1 class is off to a great start. Thanks for letting us visit your class, Jeanne. Be sure to check the AMT blog for upcoming GD1 Fall 2014 collaboration updates, and stop by the Arnold and Sheila Aronson Galleries to see the Towanda, An American Town exhibition. To learn more about Jeanne visit here.